Local broadcast newsrooms need more Zodiacs. No, not the astrology kind, the floating kind. The problem is that the traditional broadcast news station is like an ocean cruise liner. These large ships are built for the mass audience. They are optimized for efficiency, not personalization, from the group meals and activities to the repeated routines. 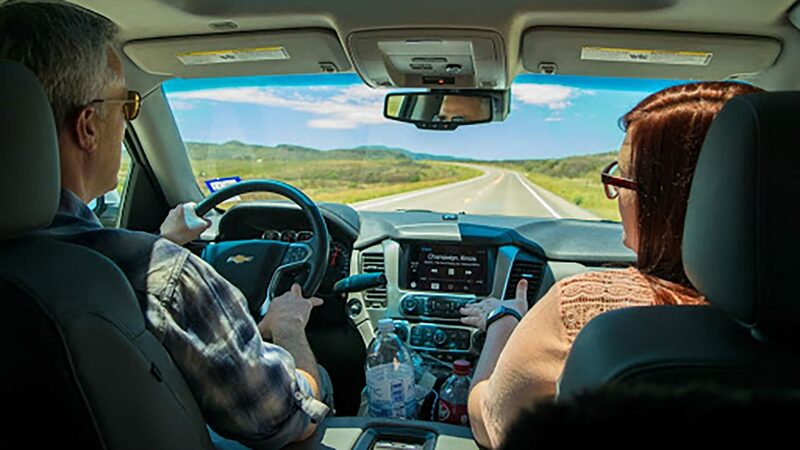 They travel a familiar, predictable route, and do so repeatedly on a regular schedule. Changing course — deviating from the “norm” — is problematic. The system rewards efficiency and predictability. The analogy holds for the customers as well. Passengers on the typical popular cruise itinerary all experience the same basic schedule of food, entertainment and activities. There is a ‘one size fits all’ quality that lacks personalization but is at least dependable and consistent. With apologies to Forrest Gump, life on a cruise ship is not like a box of chocolates. You do know what you’re going to get. Based on the clientele, the predictable cruise experience appeals mostly to an older demographic. Today’s television consumers expect and demand to be delighted. The second ‘Golden Age of TV’ ushered in by original programming from disruptors like HBO, Netflix, and Amazon has reset the bar for what a program must do to earn attention. Local TV newscasts haven’t kept pace. To be fair, there are meaningful advantages to size and scale. Whether you’re in the cruise business or the broadcast business, size and scale create efficiencies. It’s why we’ve seen so much consolidation in the media industry in the past decade. The dilemma is that big boats turn slowly. 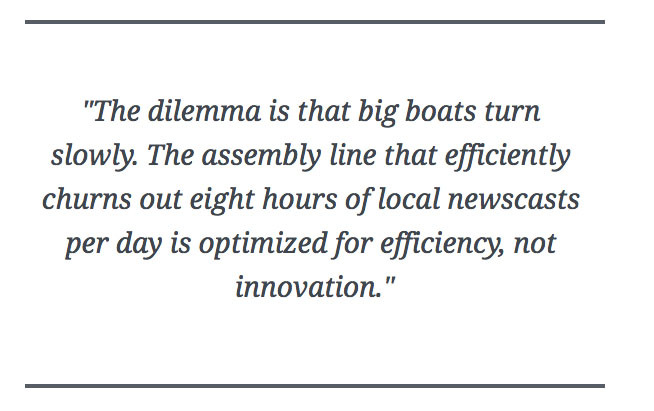 The assembly line that efficiently churns out eight hours of local newscasts per day is optimized for efficiency, not innovation. Likewise, as long as local TV is primarily supported by ad revenue, which is based on ratings, News Directors will be reluctant to ‘turn the boat’ out of fear today’s viewers might jump ship. 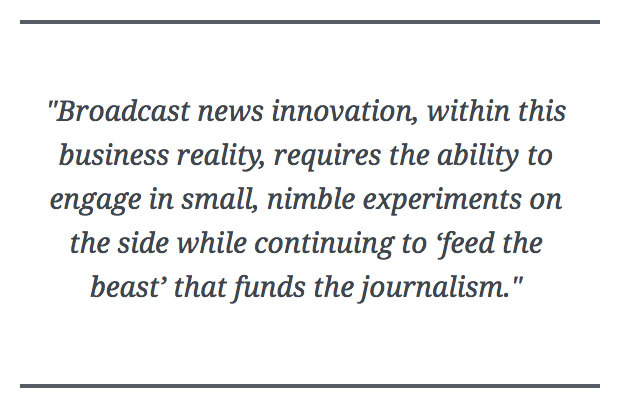 Broadcast news innovation, within this business reality, requires the ability to engage in small, nimble experiments on the side while continuing to ‘feed the beast’ that funds the journalism. That’s where Zodiacs come in. 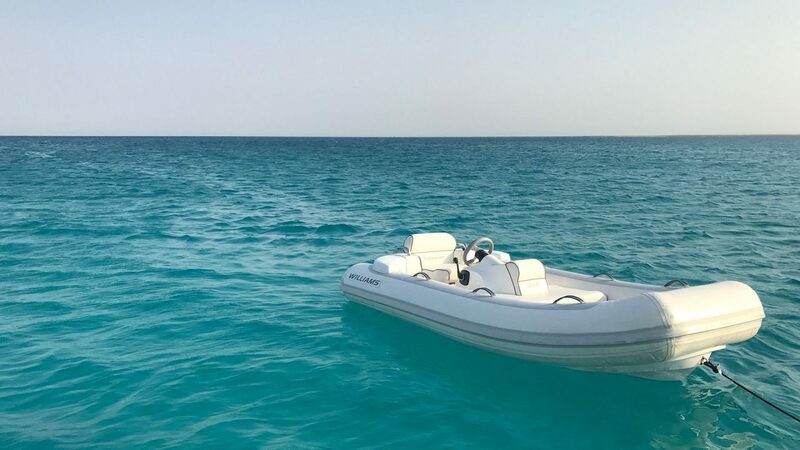 I’m talking about those small, inflatable motor-powered rafts you inevitably see onboard large cruise ships or towed behind yachts. Their value proposition is simple: Sometimes bigger is not better. While the cruiseliner lumbers along the safe and proven (i.e. profitable) main route, Zodiacs can explore. They can check out small ‘islands of opportunity.’ They can go places big ships can’t reach. Perhaps most importantly, they can do so economically. A zippy Zodiac requires less ‘fuel’ (people, time, resources) and can explore and return for a fraction of the cost. Failure becomes affordable. In some cases, the benefit will be to eliminate ports or paths that are simply not worth further exploration. Knowing what roads are NOT worth taking has value. But once in a while, these Zodiacs will make a discovery – a destination or route BETTER than the traditional, well-worn path. These discoveries can be scaled to benefit the entire line of cruise ships, more than paying for themselves. The strategic and symbiotic roles of cruise ships and Zodiacs offers a model for how to incorporate innovation into mainstream newsroom operations. 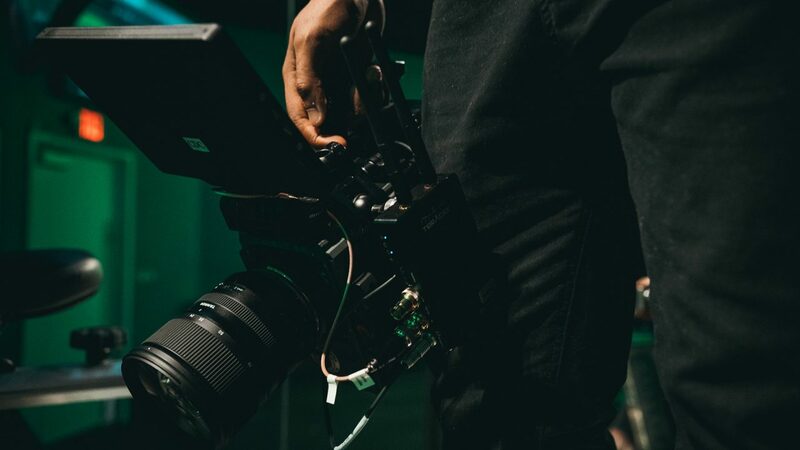 The Cronkite School of Journalism is committed to news innovation. We also understand why innovation is so challenging for local broadcasters. The operating constraints of limited staffing, resources, ratings and revenue are real challenges. Thanks to funding from the Knight Foundation, the Cronkite News Lab will engage in ‘Zodiac’ experiments in four areas key to the future of local broadcast news: New show and story formats, news trust/transparency, growing audience engagement, and sustainable business models. We’ll share any successes because we’re engaged in Open Source Innovation. And we’ll also publish our most interesting failures. These roads not worth taking may save other news organizations time and resources. We hope local newsrooms will join us and create their own ‘Zodiac’ teams. Big boats have their place; but we’ll need more nimble options as well in order to chart the future course of local TV journalism.